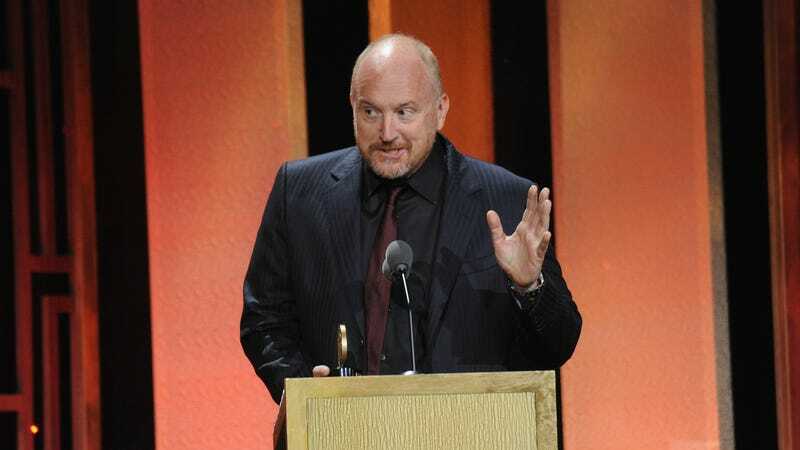 As one of the (formerly) most beloved guys in the entertainment industry—before The New York Times ran a piece last month confirming years of rumors about his alleged behavior toward women—Louis CK has been all over the pop culture landscape of the last few years. Parks And Rec, SNL, Portlandia, even kids’ fare like DisneyXD’s beloved cartoon series Gravity Falls have all featured performances from the massively successful stand-up. You can mark the last one off the list, though, because, per The Hollywood Reporter, CK’s performance has now been scrubbed from the show. CK made a cameo in the series as “The Horrifying Sweaty One-Armed Monstrosity,” one of the creatures that attacks the titular town in Gravity Falls’ big series finale. The part has now been re-recorded by the show’s creator, Alex Hirsch, who voiced several parts on the series. It’s hard to blame Hirsch, either; not only does CK’s performance, in general, cast a slight pall over the series, but the character’s specific dialogue—attempting to wheedle and verbally cajole people into willingly climbing into his giant mouth—carries some unfortunate parallels to the stand-up’s alleged behavior. The new dialogue was apparently recorded last month, and has now replaced the old performance in all airing reruns of the show. Feed Your Kid Dinner at 3 P.M.